Establishing a quality office in any city is no easy feat, but it may seem even more daunting in a large metropolitan area such as Tokyo. As the headquarters of a company is a direct reflection of their status, there are a number of considerations to take into account, including location, floor plan, building specifications, the look and feel of the building, security and lighting. Read on for the top five deal breakers when it comes to establishing a new office. In Tokyo, being located near a train station is a top priority for businesses. Many people commute to work by train, so being able to get from office to station quickly is important for employee satisfaction and recruiting ability. Anything over a 10-minute walk from the station is often a ‘deal breaker’. • How far is it to the office from the station on foot? • Is it sheltered from the elements? • Is the nearest station on a popular commuter line? • How many line changes does an employee or client have to make? • How much do transportation costs go up when compared with the current office location? However, a station connecting to a minor train line will often pose a problem. The Yamanote, Seibu-Shinjuku, Marunouchi railway lines are more valuable locations because they provide easy access to the suburbs and city hubs. For example, new developments such as the Tekko Building in Marunouchi offers direct access to Tokyo Station, which connects to 14 railway lines as well as the national bullet train network. Locations close to industry clusters are also highly sought after. In Tokyo, financial companies cluster around the Japanese megabanks in Marunouchi and Otemachi. The area is also close to Nihonbashi, home of the Bank of Japan and Tokyo Stock Exchange. Meanwhile, Shinagawa is attractive for domestic firms because of its direct connections to major residential centers in Yokohama and Kawasaki, where many office workers live in order to escape high Tokyo rents. Good neighborhoods build value in office space too. While Shibuya is popular with IT companies, it’s also close to trendy entertainment hotspots such as Naka-Meguro, Daikanyama and Shimo-Kitazawa. First impressions count. If a building is drab outside and in, it reflects poorly on the companies housed within. A slick, modern building on the other hand will almost certainly attract higher quality tenants. Name recognition helps as well. A satisfying look of recognition on a client’s face when they notice the address can be well worth the premium rent. Along with an attractive façade, access to quality business hotels, food courts and conference facilities is also ideal. Large multinationals, financial companies and professional service firms tend to gravitate towards buildings offering these services. Generally speaking, it is better to have two floors of 5,000 square metres rather than 10 floors of 1,000 square metres each. The former arrangement allows for more room to put employees rather than having to double up on common services such as meeting rooms, pantries, break rooms and reception areas. Considerations about the number, size and placement of columns, which can cause problems for employees, could soon be a thing of the past as many developers are striving to build larger, flexible floor plates and reduce the number of interior columns all together. More businesses are also implementing open plan workspaces, and employing hot-desking and touch down desks to better utilise their space. All businesses now have a high IT requirement and having a raised floor is essential to many operations. Certain industries, such as finance, will have a minimum raised floor requirement and will discount properties under the 100mm mark. Ceiling height is also a critical consideration, particularly in the large span office buildings. A low ceiling can feel very oppressive for workers and limits natural light in the areas furthest away from the windows. Multinational firms will typically choose a building with a ceiling height of over 2.7m. The number of HVAC (Heating, Ventilation and Air Conditioning) zones is equally important as many companies operate outside the standard working hours. This is typically charged additionally to the Common Area Maintenance (CAM) charge and the ability to turn off unused HVAC zones out of hours, can reduce a company’s operating costs. The level and type of security is also important for many companies. Electronic gates and a 24-hour guard are usually expected. In the last decade, energy saving and sustainability have emerged as another consideration. Tenants value the option of having LED lighting instead of fluorescent, which helps save on utility costs and fulfill corporate energy policies. In a city prone to natural disasters like Tokyo, a building’s ability to continue business operations in the event of a disaster (known as Business Continuity Planning or BCP) is one of the most fundamental considerations. Typically, a building with good BCP specifications will offer disaster support services for tenants (such as water and supplies), enhanced earthquake resistance and an on-site power generator. For some companies, power is so vital that they will install a generator themselves. 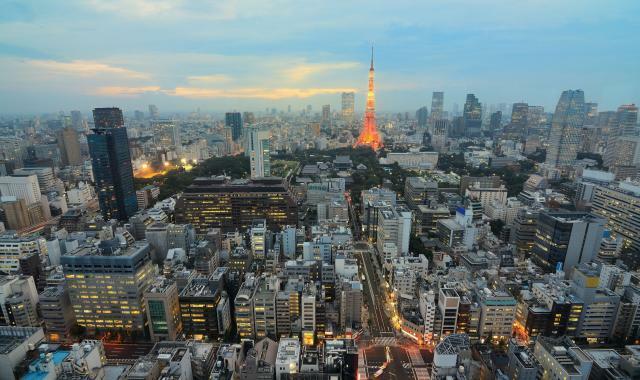 Demand for office space in Tokyo is strong and competition for premium space can be fierce. However, companies needn’t have to compromise. The key is to identify the baseline essentials for your business, plan carefully, and enter the market early. Neil Hitchen is the Head of Markets, Japan at JLL, a global commercial real estate service provider with a 30 year history in Japan. Neil regularly blogs about the latest developments in real estate in Japan on Tsubo. You can also follow him on LinkedIn. 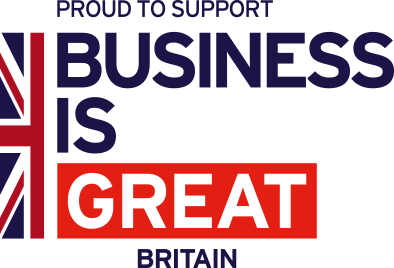 For key information on the Japanese market, please see our Doing Business page or download our in-depth market report A Definitive Guide to Doing Business in Japan. To find out your market potential in Japan, please get in touch with our expert trade advisers and get your Free Market Assessment.